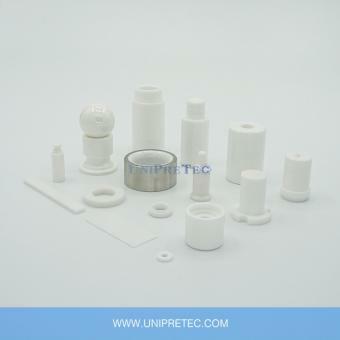 Material BN Boron Nitride is lubricious, soft, machinable and with the platy hexagonal structure, so it's often referred to as "white graphite". 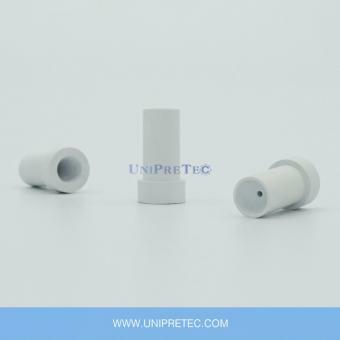 Both BN and graphite are thermal shock resistant and widely used in high temperature environment, but BN is a very good electrical insulator. 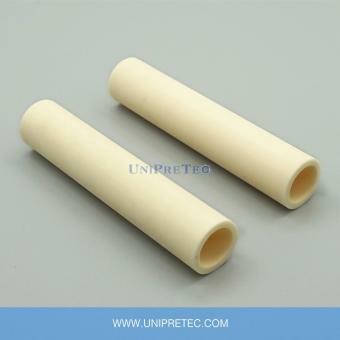 Boron Nitride can be composited with other materials, like Aluminum Oxide, Aluminum Nitride, Silicon Carbide, Zirconia... 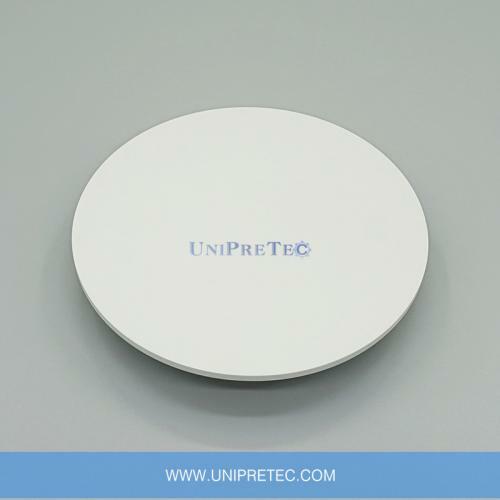 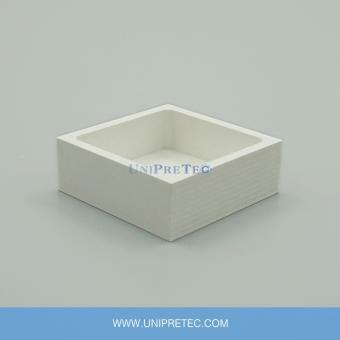 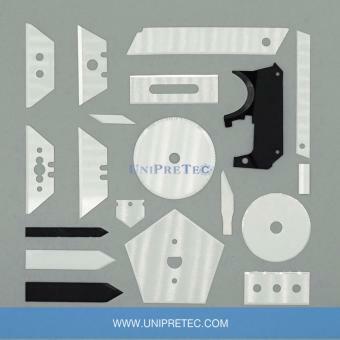 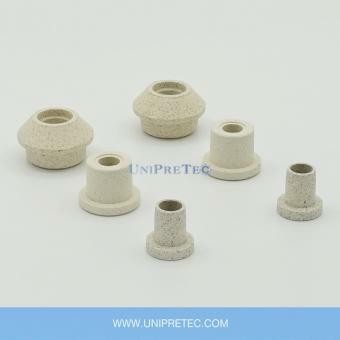 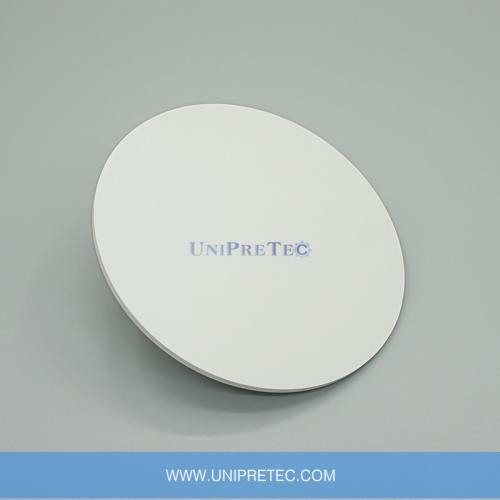 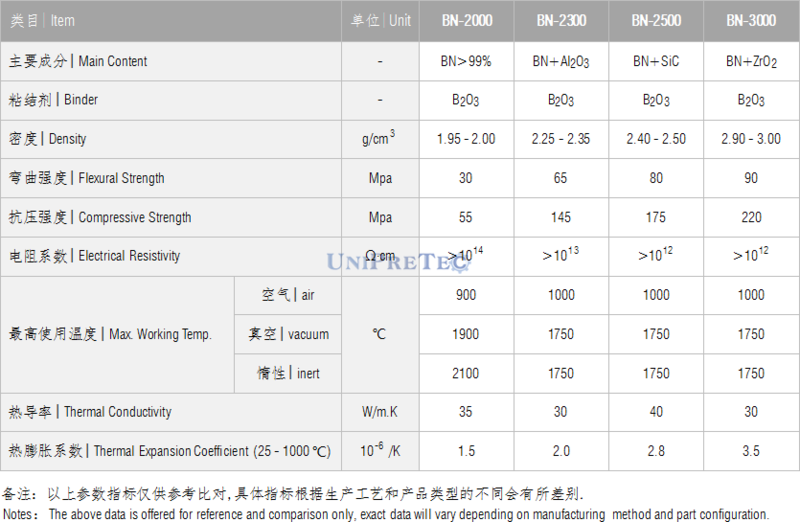 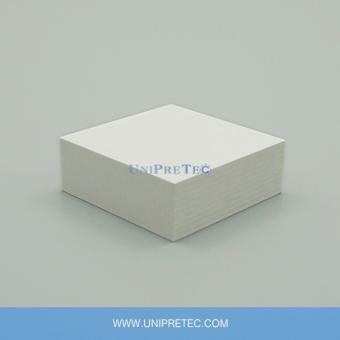 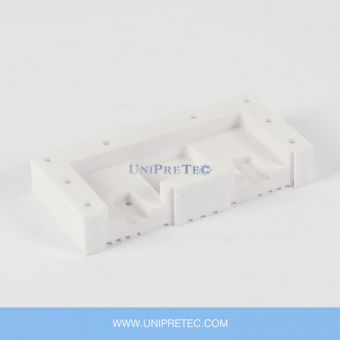 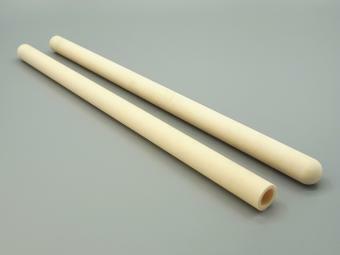 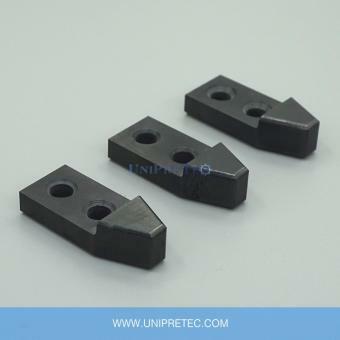 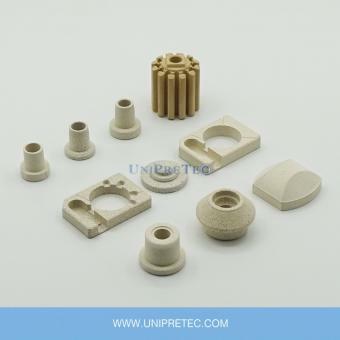 According to different customers' applications, UNIPRETEC is good at producing solid Boron Nitride in different grades.